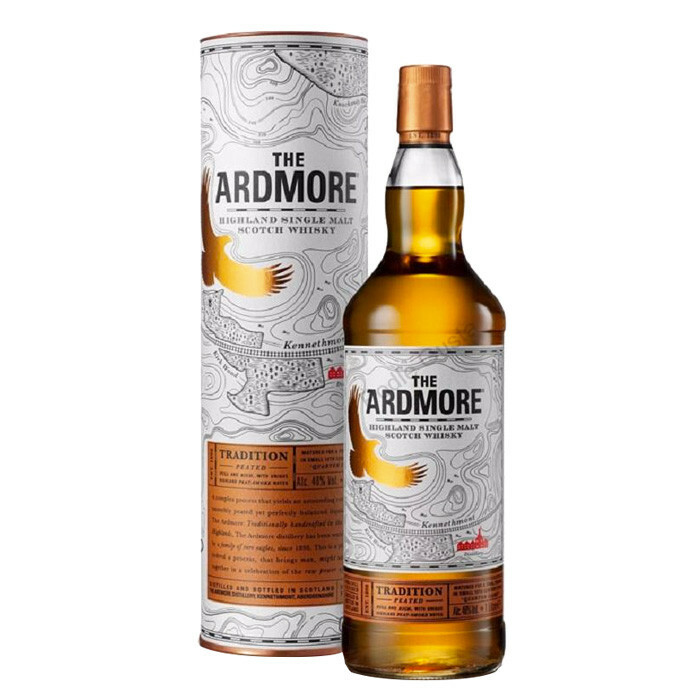 A 40% ABV-variation on the Ardmore Tradition Peated single malt Scotch whisky, which is initially aged American oak barrels before being finished in quarter casks. Nose: Burnt sugar and toasted malt, with layers of light peat smoke. Palate: Sweetness of vanilla and barley sugar blend well with earthy peat. Finish: Petrichor and honey'd cereal.